Hailed as the “biggest night in British Opera this decade,” with tickets being reportedly being re-sold for over £3000, La Forza del Destino brings together “the world’s most sought after singers”, the German tenor, Jonas Kaufmann and the Russian Soprano, Anna Netrebko, conducted by Antonio Pappano. The memorable score contains some of Verdi’s most brilliant choral writing, including Act III’s stirring ‘Rataplan’ chorus, and several beautiful and intimate arias such as Leonora’s ardent Act IV ‘Pace, pace mio Dio!’. There’s comedy too with the scenes for the greedy monk Fra Melitone. 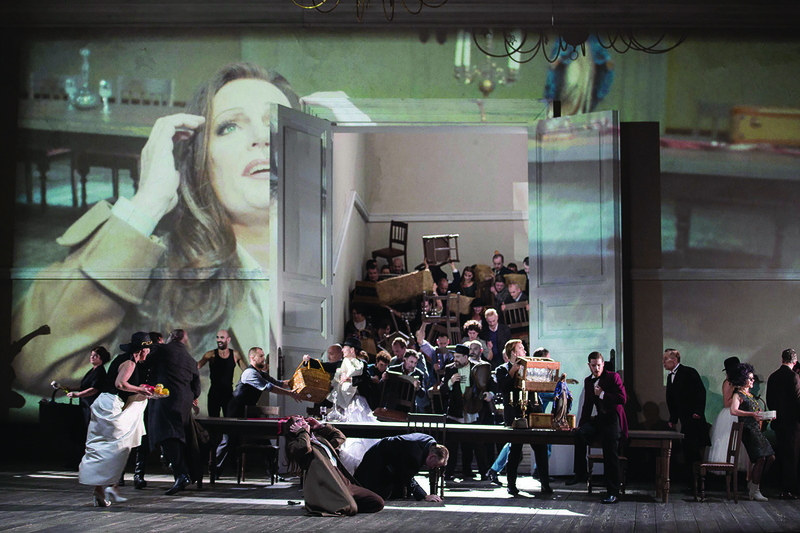 Christof Loy’s colourful and spectacular production reflects the kaleidoscopic nature of Verdi’s opera, where intense personal dramas play out against a background of war, and in which religion plays an ambiguous role.